Chocolate cake is by far one of the best desserts on the planet! I have never met anyone that didn’t enjoy a big hunk of chocolate cake, with a tall glass of cold milk. What on Earth is better than a regular chocolate cake you ask??? How about a triple layer decadent chocolate cake! My mouth is watering at just the mere thought of eating a large slice of it. I hope y’all had an amazing Christmas, my Christmas Party was an absolute success. All of my guests had a wonderful time, and that truly made me happy. 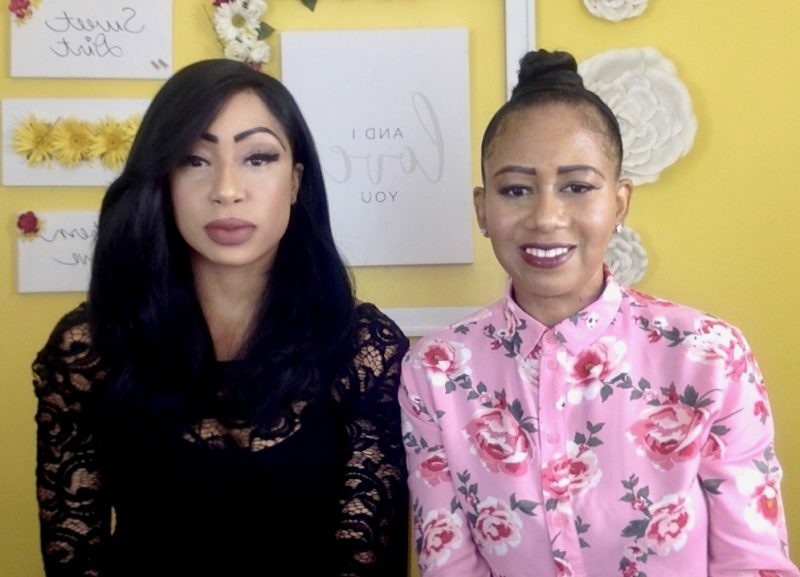 Click here if you want to like to see how everything turned out. Since it’s still the holiday season, I decided to share a homemade triple layer chocolate cake recipe with y’all. I made it as one of my desserts for my Christmas Party and everyone loved it. It was so moist, delicious, and utterly sinful, as a matter of fact some of my guests are still talking about it. 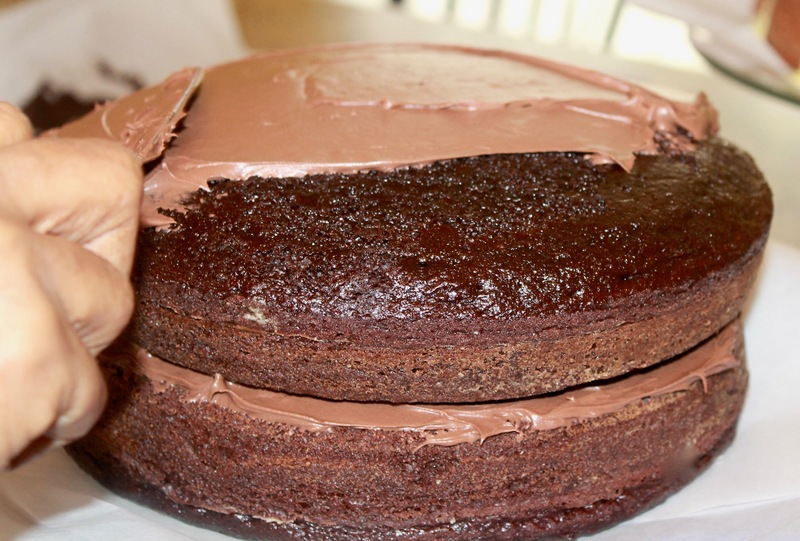 It’s just that good, this chocolate cake from scratch recipe is seriously the best! 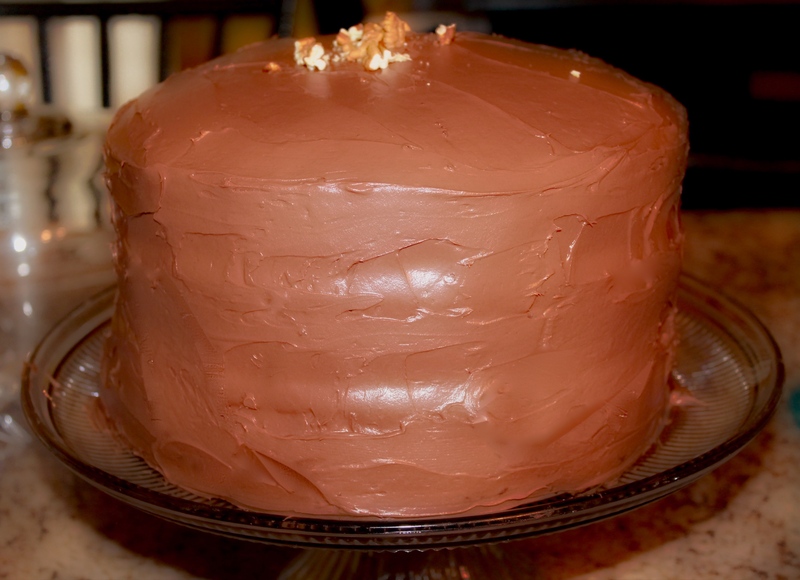 Keep reading for the homemade chocolate cake recipe and the beautiful finished cake. As always before we can begin baking anything of course, we’re going to need a list of ingredients for our cake. 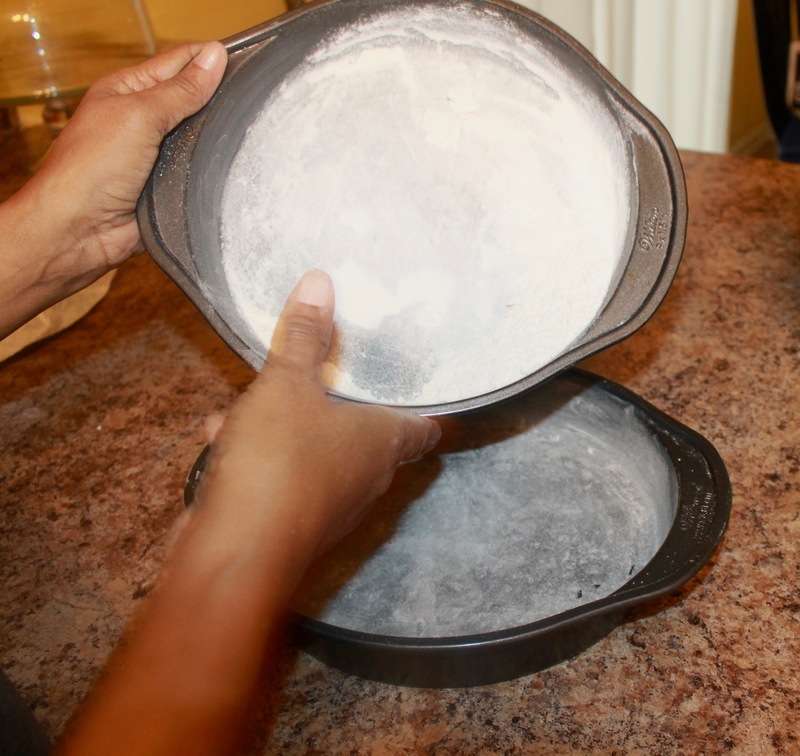 Before you begin to mix your ingredients you will need to butter your 9-inch cake pans, and then you dust them with flour. Always remember to tap out the excess flour. Preheat your oven to 325 degrees after you place your pans on the counter. 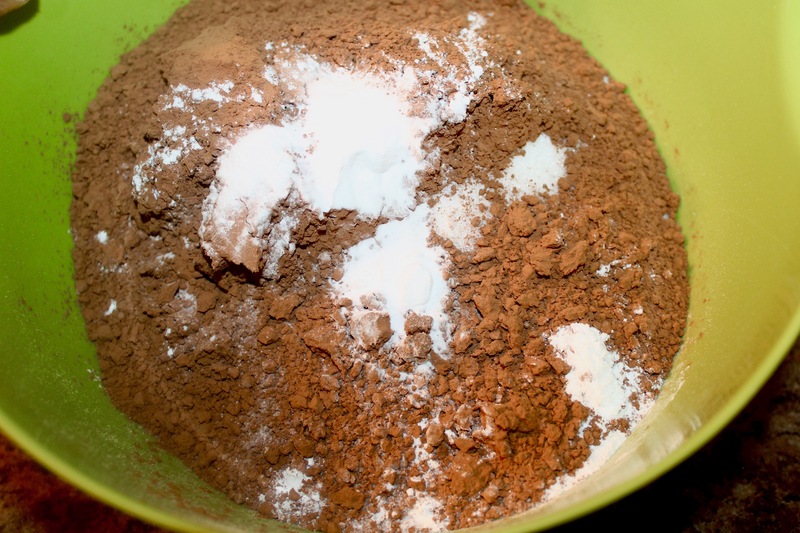 First, we will mix in our dry ingredients, you will begin to mix together 3 cups of all-purpose flour, 1 1/2 cups of unsweetened cocoa powder (Make sure that you use the best cocoa powder, because it’s make all the difference in the decadence and richness of the chocolate cake. 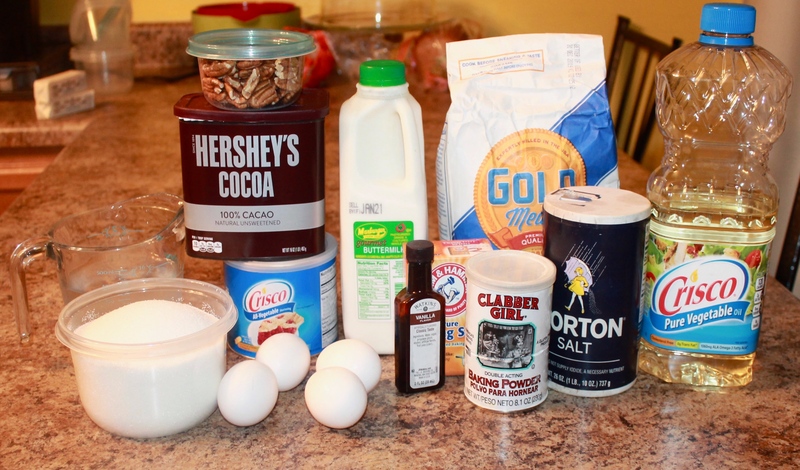 I personally chose Hershey’s cocoa powder, it truly elevates the taste of the cake), 3 cups of granulated sugar, 1 1/2 teaspoons of baking powder, and 1 1/2 teaspoons of salt into a bowl. When you have all of these ingredients in a bowl, you can begin to mix everything together on low speed. Since you’ve added in your dry ingredients it’s time to add in you wet ingredients. 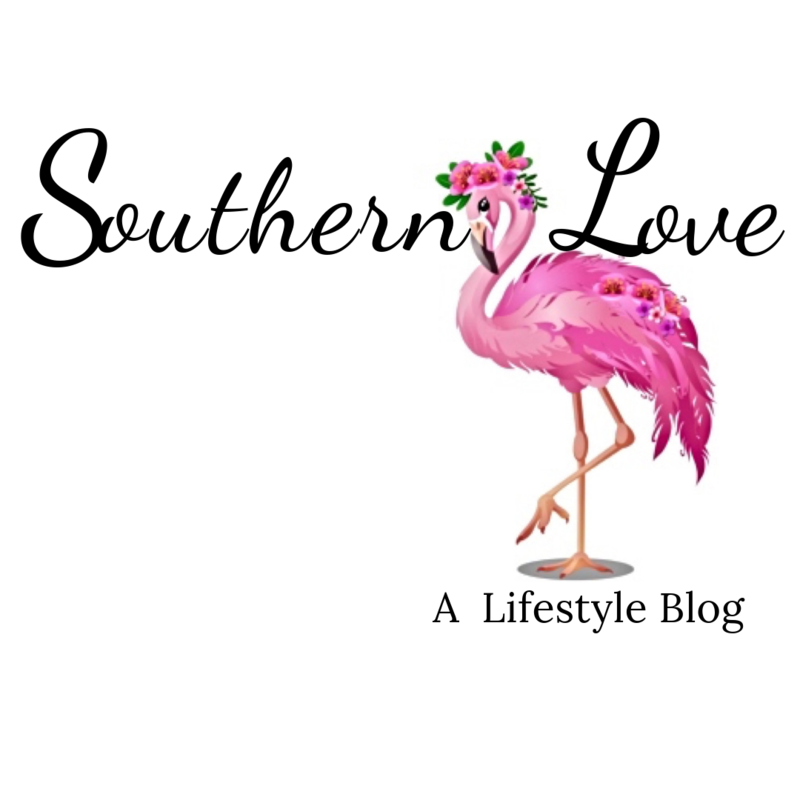 You will add 4 eggs, 1 1/2 cup of buttermilk, 1 1/2 cups of warm cups of water, 1/2 cup of vegetable oil, and 2 teaspoons of vanilla extract. After you’ve added all your ingredients together mix everything, until the cake batter is smooth. As soon as you’re finished be sure to collect any excess cake mix from the side of your bowl. 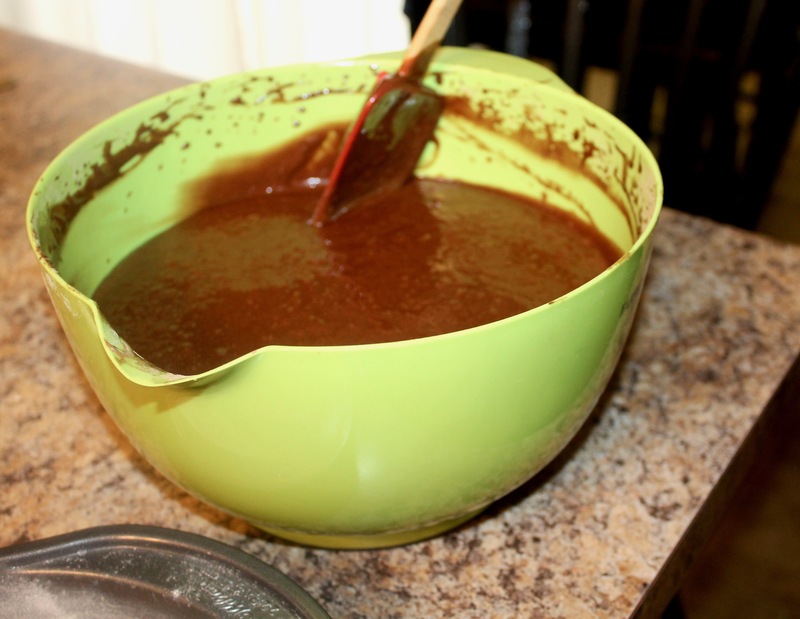 Now that you have finished mixing all of your ingredients, you will begin to pour your cake batter into your cake pans. Place your batter into your oven for about 30-35 minutes or until your toothpick comes out clean. 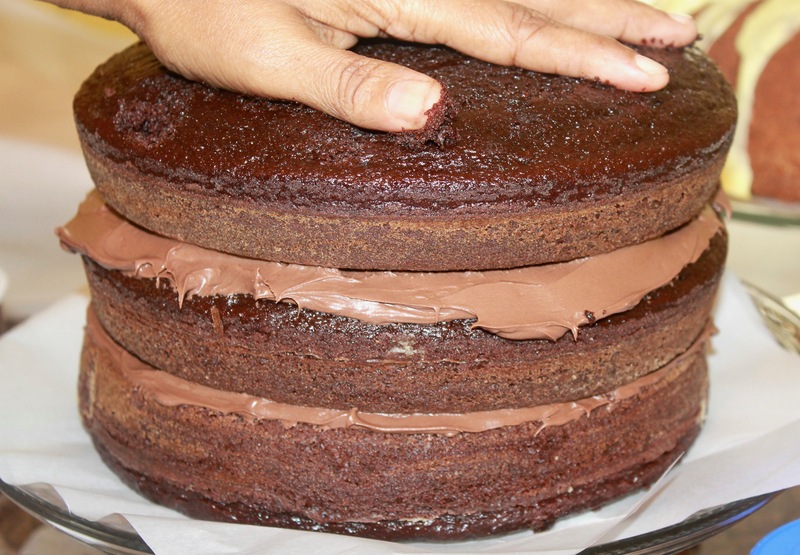 Since it’s a layered chocolate cake the layers will not take that long to bake. 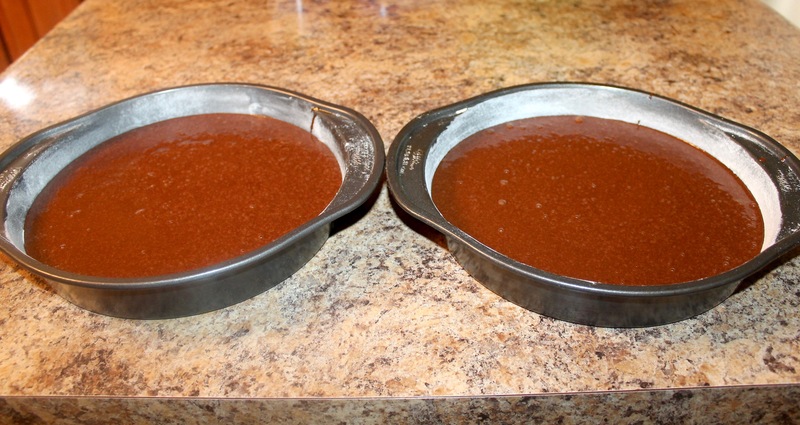 After you remove your finished cakes, allow them to cool before you begin to ice the layers of chocolate cake. Finally! Your perfect chocolate cake is almost ready to be devoured! 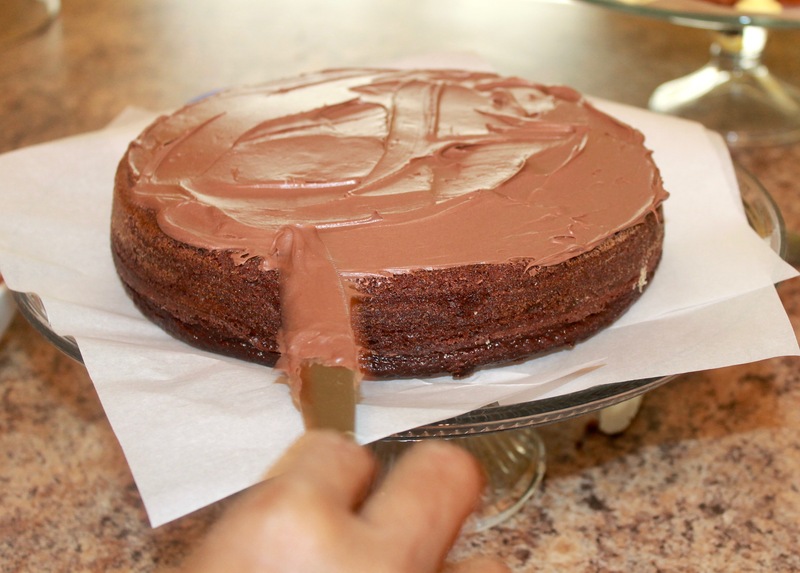 However, you need to ice the layers of your cake which can be yummy and messy at the same time. 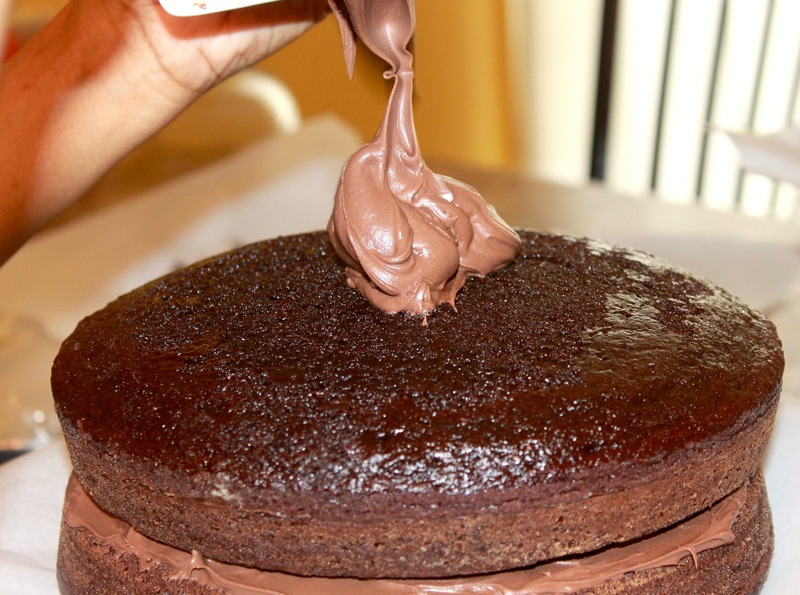 You will flip the first layer of your chocolate cake upside down, and begin icing the bottom of it. WHATTT??? I know it sounds crazy, but trust me it’s the correct way to build your triple layer cake. 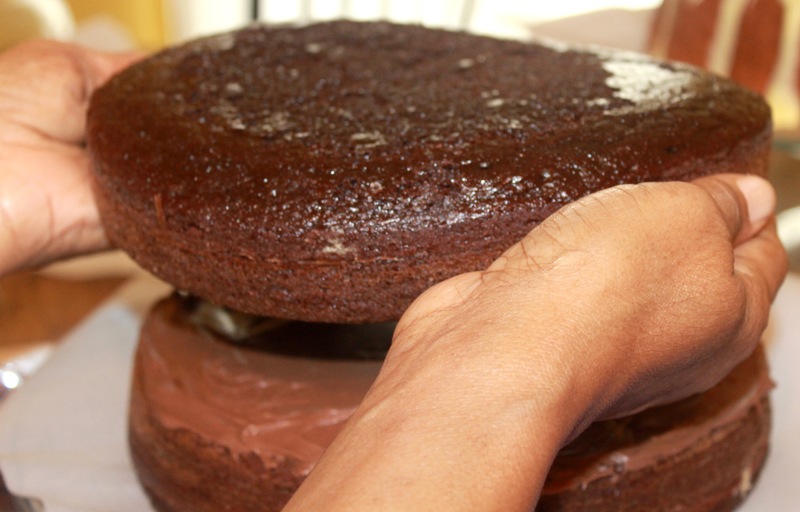 After you ice your first layer of cake, stack your second layer of cake right side up. You will just continue to ice and stack your cake until you’re completely finished. After your cake is finished you can add a garnish, I always like to add pecans to my cake. Last, but not least you need to grab a knife, a fork, a plate, and enjoy your decadent and moist triple layer chocolate cake. I hope y’all are having a wonderful season so far. Feel free to let us know what you think of this delicious and sinful treat in the comment section.